Kilimanjaro Safaris sure looked different back in 1998. This is the main savanna just as you come down the big hill. The vegetation just looks a lot different than it does today. The animals, however, are not all that different. Wildebeest are still, of course, found on the ride. 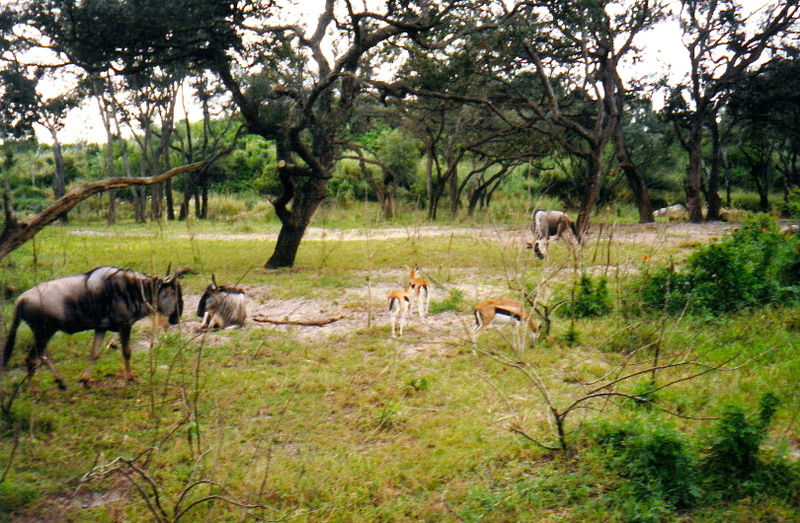 Tommies were present until recently when a new herd of springbok replaced them. Tommies have since moved to the Animal Kingdom Lodge Kidani Village. Take a Spin on Triceratops Spin! Jambo Everyone Hits the Podcast Airwaves! DAK15 Photo Memories; March of the ARTimals! DAK15 Photo Memories; Where's the Axis Deer? Kevin the Snipe Coming to DAK? ?